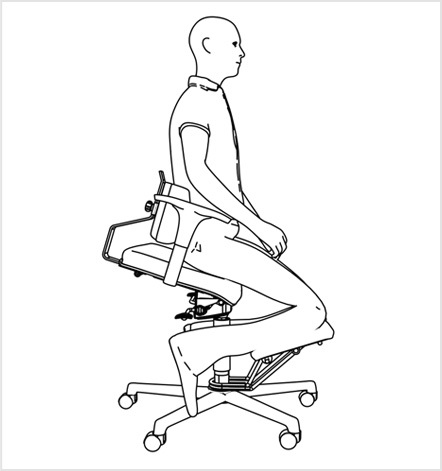 The Komfort Chair is a multifunctional ergonomic chair. It can be used as a common office chair in its standard mode or it can be set to a special ergonomic mode to further reduce postural stress. 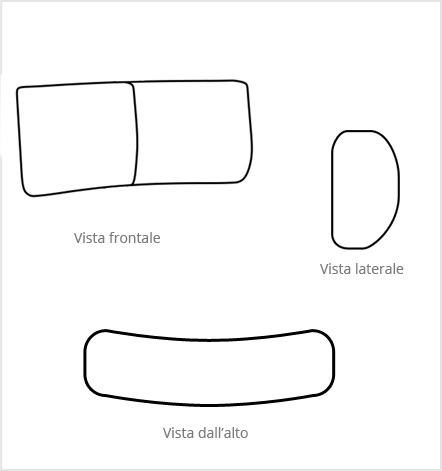 Change your position as frequently as you need with no waste of time and without even leaving the chair! 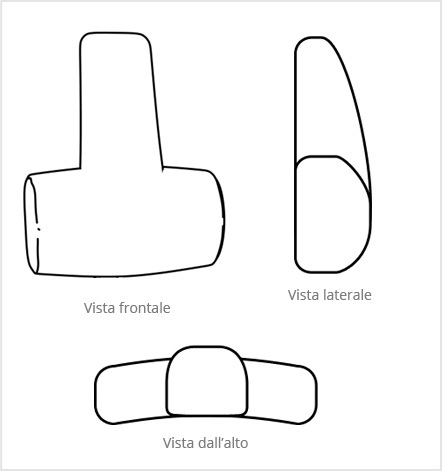 Thanks to its free-block mechanism designed and built entirely in Italy, the chair tilts freely between zero and 17 degrees. 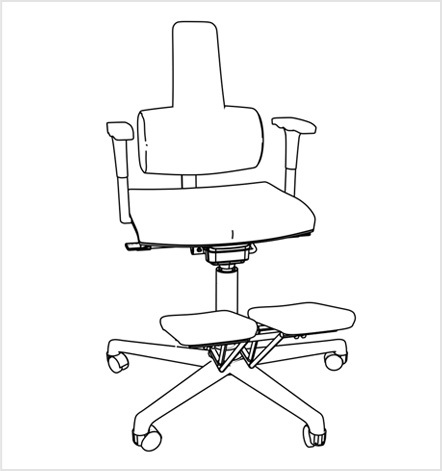 (Leaning a chair is not recommended, and in the KomfortChair it’s not possible.) The lumbar cushion provides sufficient support to help the body find its balance in its correct posture. 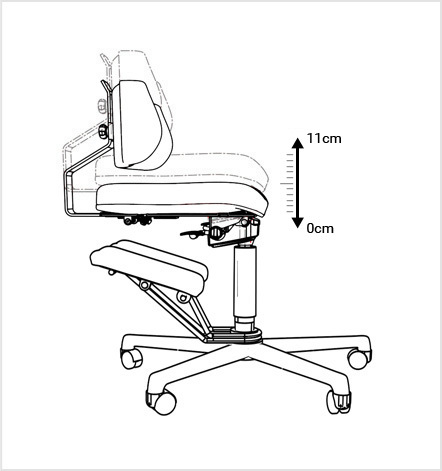 The seat back is adjustable in height, depth and tilt. The orthopedic cushion on the back is an excellent back support. Its ergonomic shape preserves the normal spinal curves, giving support to the lower back and the cervical area, and opening the chest for better breathing and immediate relief of the lower back. 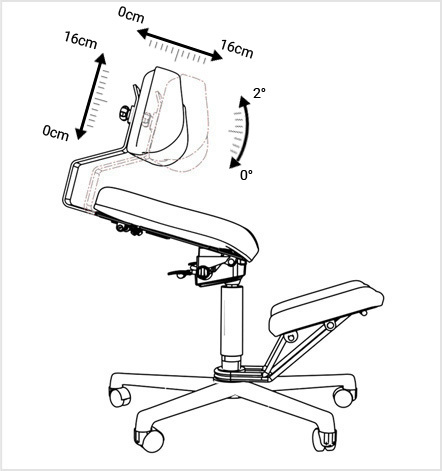 In the ergonomic mode you can adjust the height and angle of the knee-rest support in two different ways, or you can remove the block and adjust it freely to create the most comfortable position during your time at the desk. 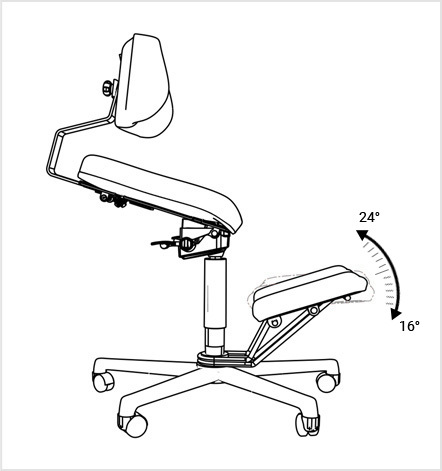 Unlike most common office chairs, the KomfortChair is incredibly versatile. 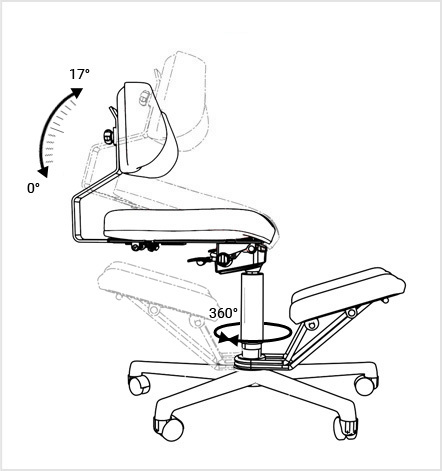 Even the arm rests have seven settings to help you maintain a proper posture whatever the height of your desk. 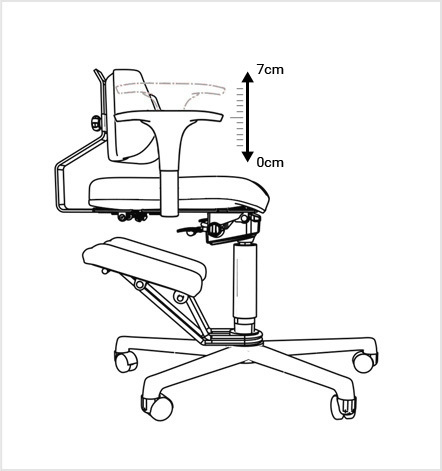 The KomfortChair is made of hypoallergenic materials and is fully adjustable to suit your body and your workstation. All KomfortChair products and related equipment are supplied in two standard colors: Black (8033) and Blue (6071). Do not lean the chair backwards or forward: you could overturn!